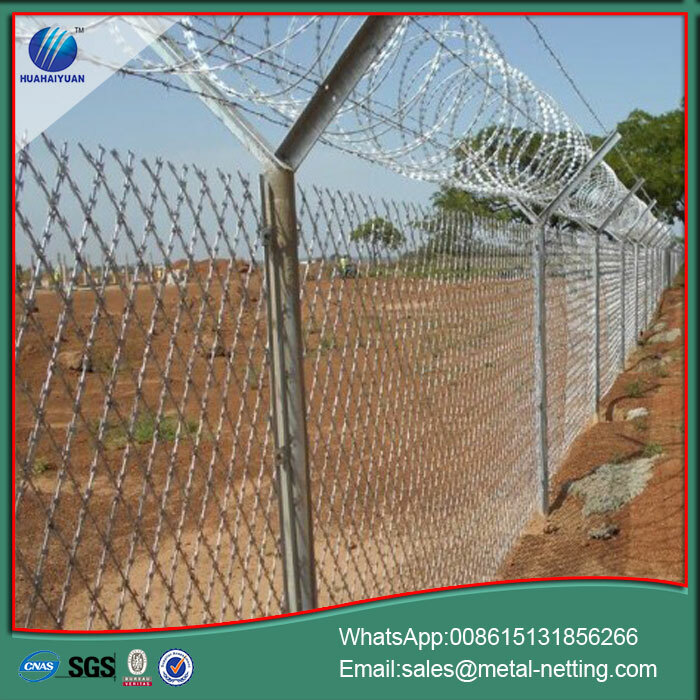 Also known as an airport perimeter Security Fence, our airport fences consist of a V-shaped bracket post, reinforced welded mesh, security joints, and hot dip galvanized blades. 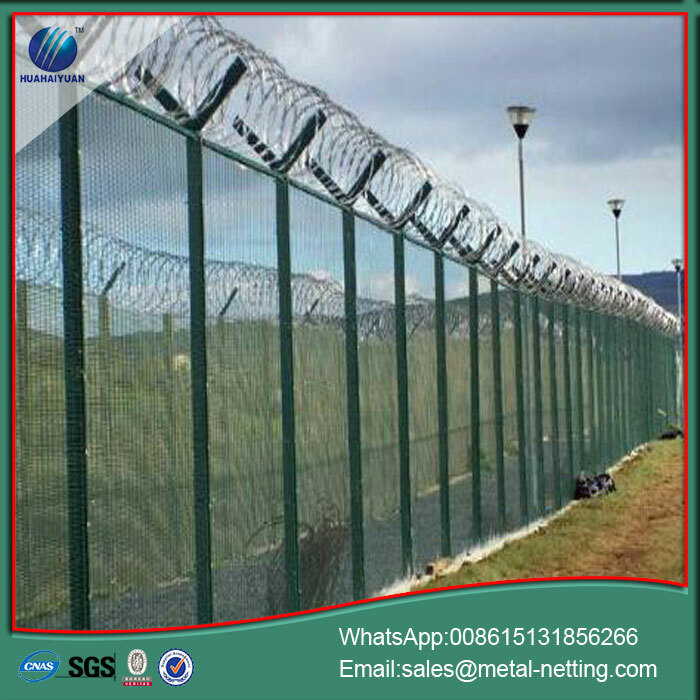 This Security Fencing is designed specifically for defense, and is widely used in airports, military bases and other locations where safety and protection is a must. 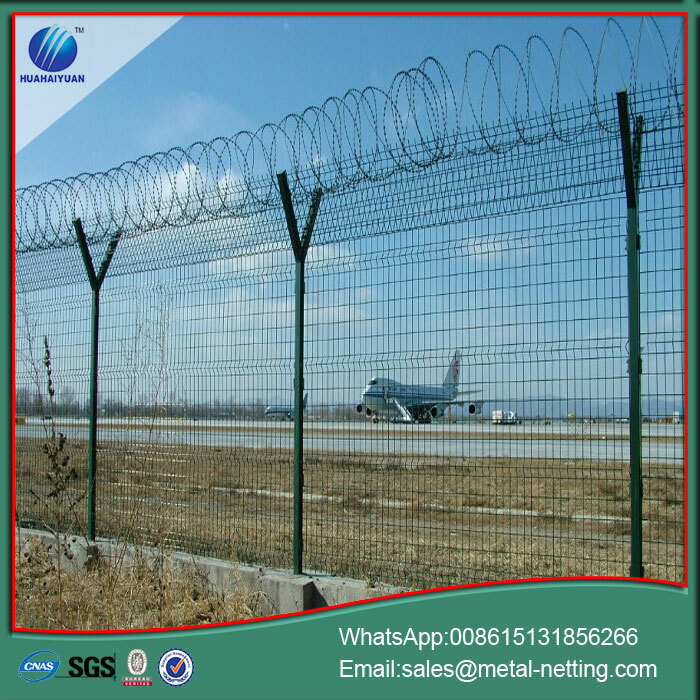 Dense Airport Fence The mesh is designed with V-shaped reinforcement ribs, which significantly improves the airport security fence's impact resistance. 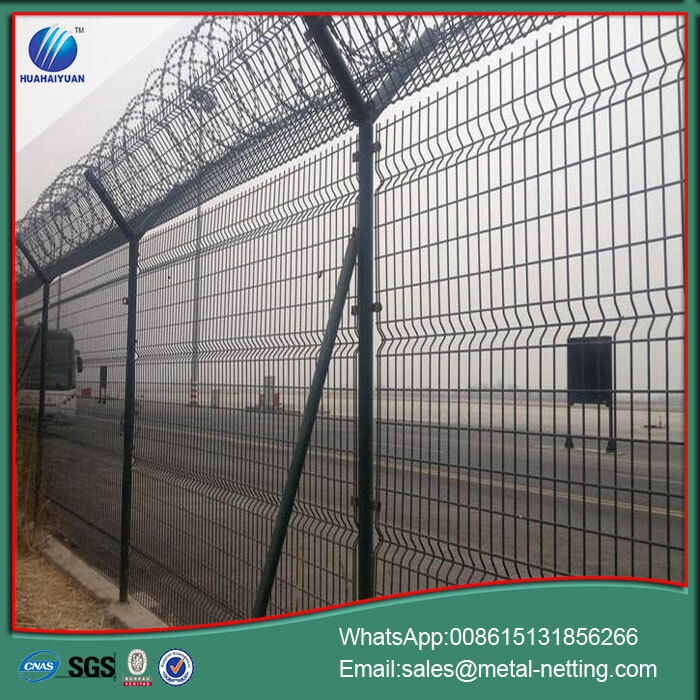 Airport Razor Fencing:Each post is a 60 x 60mm rectangular steel post, with the addition of a welded V-bracket on top. 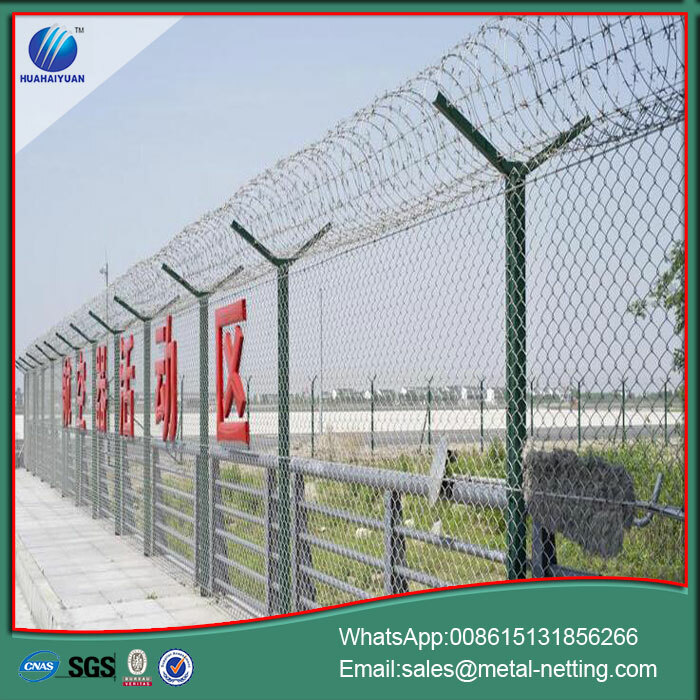 After the hot dip galvanization process, each produce undergoes a high quality polyester powder electrostatic spraying with RAL color schemes for added protection against the elements. 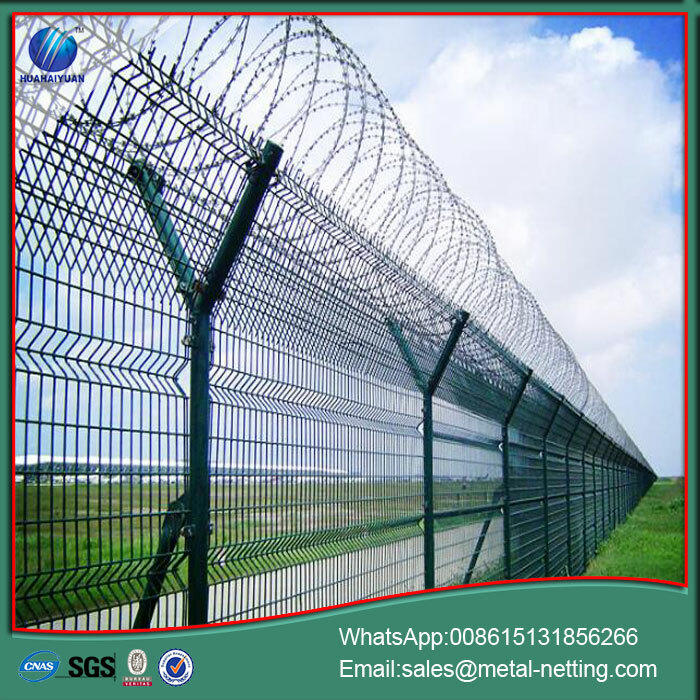 Looking for ideal Dense Airport Fence Manufacturer & supplier ? We have a wide selection at great prices to help you get creative. 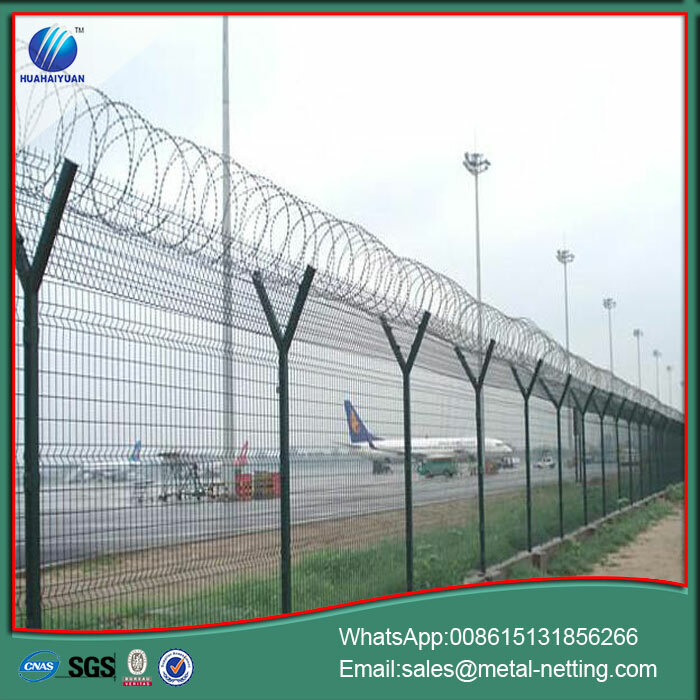 All the Airport Fence Welded Fence are quality guaranteed. 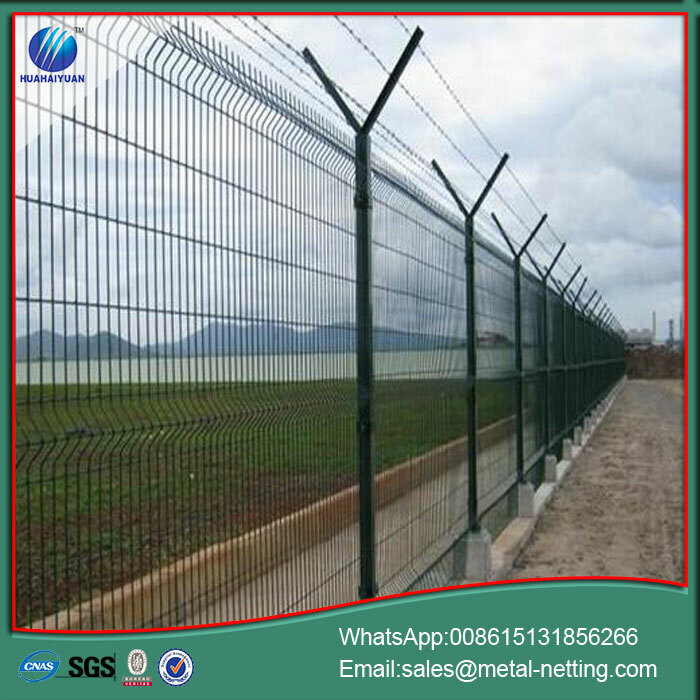 We are China Origin Factory of Airport Razor Fencing. If you have any question, please feel free to contact us.